We four are arriving together in Felde in some sort of phat whip. So what kind will it be? We spoke of landsharks on wheels, and multi-armed/legged Catbusses in the livestream. Any other thoughts? Kern needs this idea by Monday. Outside thoughts welcome, but keep it brainstormy! Actually, you know what would be really great? A giant trilobite with a howdah. Well, whatever the base creature should be, it definitely needs to be decked out in fancy, Indian style elephant decorations. Last edited by Junglefowl26 on Sun Sep 08, 2013 1:26 am, edited 3 times in total. heh, something floaty would be cool, a neat ethreal looking biogolem powering it, bits of it billowing like cloth, the way a ray or a cuddlefish does. My other thoughts was something similar to the child in chapter 2 being carried in by multi-armed Biogolem guards, only it be part of the vehicle. Like an Atlas or two carrying the main part of the carriage that the Jaal are sitting in. Let me think on it tonight and see if I doodle something up. This is personal bias talking but I love the idea of floating stingrays. Not sure about floating, Kern didn't sound too big on that in the livestream. Yo it's Solona, I like the idea of the giant anthropod/insect/arachnid ideas. It acutally fits in with my Jaal's concept. 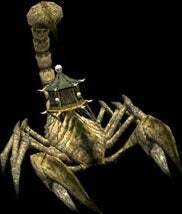 Solon wrote: Yo it's Solona, I like the idea of the giant anthropod/insect/arachnid ideas. It acutally fits in with my Jaal's concept. You mean her field of study are those things or she has spider limb and such? I saw a mention of horseshoe crabs in chat, maybe something that has multi-legs like that and its shell molds up into a compartment with our Jaal's inside? Pitdragon wrote: I saw a mention of horseshoe crabs in chat, maybe something that has multi-legs like that and its shell molds up into a compartment with our Jaal's inside? I am glad that so many people liked the floaty idea, even if Kern vetoed it. Horseshoe crab sounds awesome. 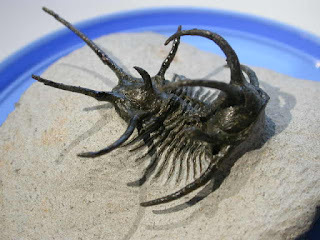 Though on that note I have to recommend trilobites again. Solid, sturdy creatures with wide backs sound great for transport, sufficiently scaled up, and come in such amazing varieties. 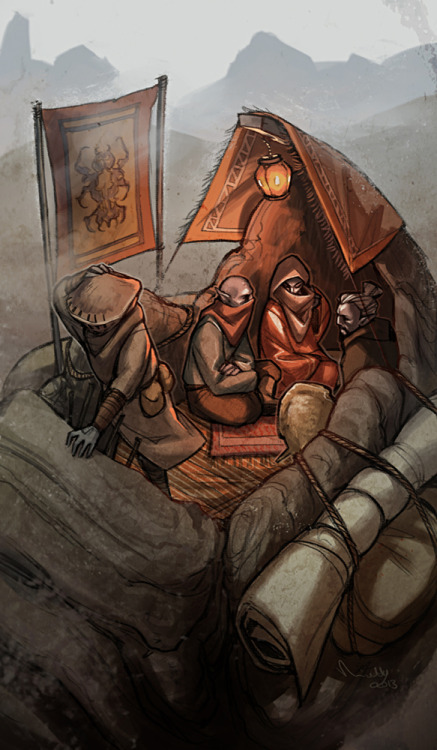 I like the idea of the passenger compartment being molded out of the shell - reminds me of Silt Striders from Morrowind. Well the trilobytes sound unique. And yes I was referring to the kind of golems Visapa speciallizes in. The idea with the arm came out of an idea she started research on herself for "improvements" and application beyond just scout bug, assassin bug, etc. I agree with the trilobite idea, it sounds awesome! And I would like a glass-enclosed top, with sofa lounge and rooms for bathroom and bedrooms (help preserve Jaal'daryan modesty and technology), as well as some mini-crab golems to cater to them. Trilobite would work! I'm down for it. I would certainly go for a trilobite limo-bus.